Marami sa atin ang may mga insurance na. Mostly insurance galing sa company, or yung mga personal insurance na kinuha natin para sa ating sarili. Kaya lang, sapat na ba ang insurance protection na mayroon tayo sakaling kailanganin natin ito? May 4 na areas of protection na kailangan nating i-consider sa pagkuha ng tamang insurance. Ito ang LIFE, MEDICAL, ACCIDENT at SAVINGS. LIFE. 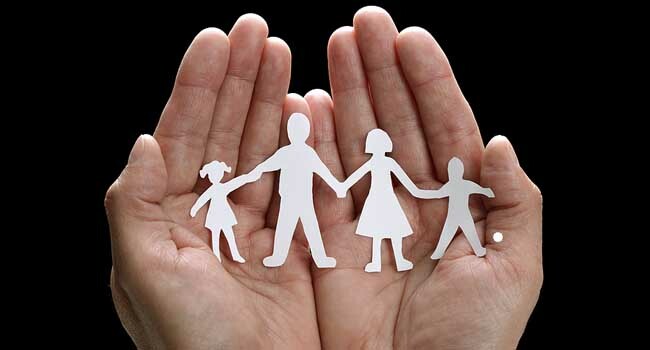 Life policies covers death, TPD and optional critical illness. Pwede natin itong ma-avail either TERM or VUL/ILP. Ito rin ang mga policies na magagamit natin at pwedeng mapamana in the event of uncertainties na covered ng policy. Usually cash natin matatanggap ang benefits nito. MEDICAL. Medical polices covers hospitalization cost or hospital benefits depende sa plan na makuha natin. The goal of this policy is to shoulder hospital bills in the event na ma-ospital tayo. You will agree with me na mas mahal ma-ospital ngayon especially kung sa ibang bansa gaya ng Singapore. ACCIDENT. Accident policies will provide extra cash in the event of any accident. Most probably, the amount you will get will be pro-rated depending on the severity of the accident you have incurred. SAVINGS. Savings policies like endowment plans, annuities or pure investment plans. Their primary goal is savings and growth of money, but with little amount of insurance protection bundled. Aside from insurance companies, you can do this on your own kung may alam ka sa investment. It is up to you how you will accomplish this part at mapaghandaan ang mga future expenses. 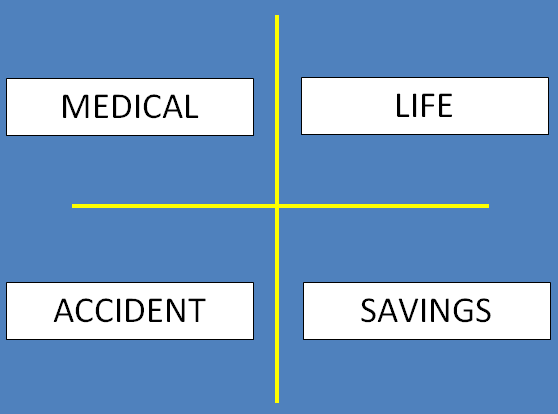 Ang problema, walang SINGLE insurance policy (correct me if I’m wrong) na magco-cover sa atin sa 4 areas na ito. Most of the time, kailangan mo sya kunin individually or as RIDER ng isang plan. May mga plans na magko-cover ng 2 or 3 areas, but walang all in one. It is crucial to review your existing policy and check which areas of protection you have. I know most of us have insurance, but most of us also are UNDERINSURED. Imagine you have LIFE insurance only. What if one day, naglalaro ka ng basketball and naaksidente ka? For sure dadalhin ka sa hospital for treatment. Since LIFE policy lang ang meron ka, wala kang makukuha dito. In the end, you need to shoulder all your expenses. Bakit? Kase nga ang LIFE policies only covers death, TPD and criticial illness. Let’s say meron ka namang LIFE and MEDICAL policies and you suffer same accident while playing basketball. Your MEDICAL policies will shoulder your hospital bills kaya may peace of mind ka na. Kaya lang, what will happen after ma release ka sa hospital? OK kung after non makaka work ka pa uli. Pano kung hindi na? Accident protection sana ang magbibigay sayo ng extra cash in the event of such uncertainties happen. Pero dahil LIFE at medical lang ang meron ka, wala ka ng makukuha. Sayang dahil accident plan pa naman ang pinakamura sa lahat. As you can imagine base on my examples, it is really important to have protection on the 3 key areas. Wala naman makaka-predict kung ano ang mangyayari sa atin bukas, but it’s better to have protection and peace of mind. Paano kung breadwinner ka ng family mo? Paano na sila kung may mangyari sa yo? I know for sure marami sa atin LIFE policies lang ang meron. I guess it’s time to check what we have and get the protection that we really need while we still can. Remember, insurance is like a perishable product. Your window of getting one is getting smaller the moment we grow older and might close right away once we get sick. Ikaw, anong insurance policy ang meron ka? Next: Life’s Risk: Are you well protected? Do you have any idea regarding VUL if it is a good investment? VUL is offered by insurance company and should not be compared to investment companies. If you need investment, i suggest you go to investment company. But if you’re priority is insurance coverage, go get it from insurance company. I currently have AIA insurance (singapore) that I think covers all 3 areas, (life, medical and accident) and I pay it for almost SGD180.00… okay lang po ba ‘to or too much? I only have a salary of 2600 a month i was thinking parang medyo mabigat since nagreremit pa ako sa pamilya ko sa pinas. So just yesterday I asked my consultant to meet me next week and review my policy and eliminate un ibang policy ko. Is it wise? Kasi I was planning to get mutual fund pa or maybe retirement plan sa pinas… Now, I don’t know what to do… I was also thinking kung pwede or mas magandang kumuha ng retirement plan dito sa singapore.. I am S-pass holder working for 4 years in SG. Pwede nyo po ako bigyan ng advise?